Social Media Marketing refers to manipulation of content on social media platform. This content is then posted on respective social media accounts. The whole idea behind this is to be updated about your brand online. This practice gathers traffic and hits on your web which influences people to look after your brand. Brand awareness and reaching out the targeted audience is the core responsibility for a social media job. Also many SEO tools are used in optimization in social media. When we are talking about social media marketing, we can’t forget it is a subset of digital marketing. So all the aspects of digital marketing is interlinked such as SEO, SMM, SEM etc. Thus having a considerable knowledge in other field also will help u in with your career in social media. Such as many aspects of SEM and SEO are used in social media marketing this can be helpful to the one in their campaign. Hence one with slight knowledge in overall digital marketing will help in getting a social media marketing job. 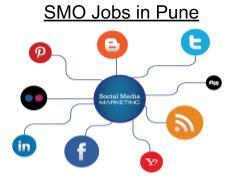 Regarding social media jobs, there is a huge demand of social media jobs in Pune. Being one of the tech hubs of India, Pune hosts a number of social media job opportunities which can be grabbed with proper potential in digital marketing field. 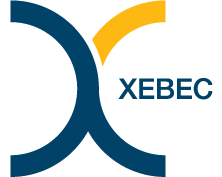 Xebec is an Ideas, Design and Branding Company. We are an Integrated Communications Group that provides cutting edge strategy and creative solutions to meet business challenges and build profitable brands. Now they are currently looking for talent as a social media executive. For more information about this job, click here. Hyatt Regency Pune is one of the most renowned 5 star hotels in Pune. Hyatt Group have a leading chain of 5 star hotels around the globe. Now they are looking for some fresh and experienced talent in the field of digital marketing in Pune. For more information about this job, click here. Vertex Corporate Services is a high-end Indian human capital solutions company with services ranging from executive search and selection to creation of niche career communities, career advisory and career management. Founded by alumni from the IIMs and Columbia University and financially supported by a US$200 mn. For more information about this job, click here. Buzzfactory is a 360 degree social media & digital consulting agency that partners with businesses to spearhead strategy & execution of their digital initiatives. Now they are looking some fresh talent as a social media associate. For more information about this job, click here. Reliance Games, a leading publisher and developer of mobile games is a division of Reliance Entertainment Group whose subsidiaries include entities like IM Global and Codemasters. They are now hiring some Senior talent as a social media manager. For more information about this post, click here.